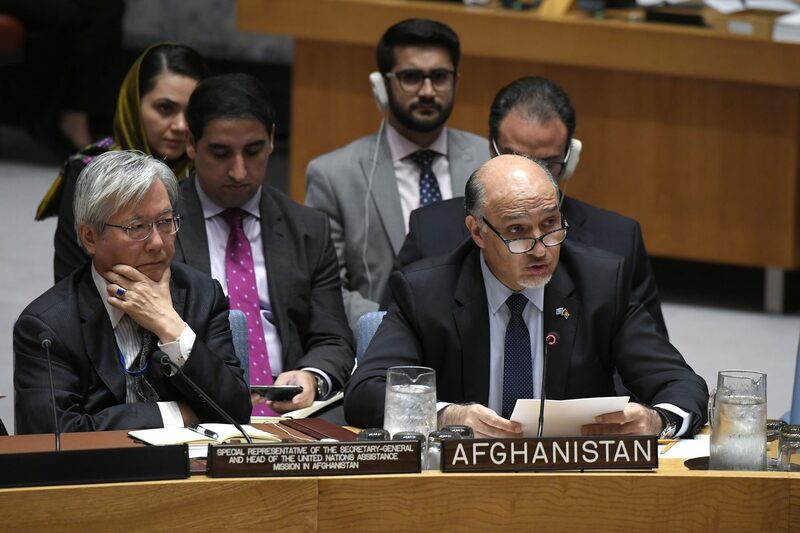 Let me begin by conveying our best wishes for a successful Council Presidency in September, and our gratitude to the United States for convening today’s debate on Afghanistan. We thank SRSG Yamamoto for his comprehensive briefing. We are particularly pleased by the presence of Mr. Ramiz Bakhtiar, Afghanistan’s first-ever UN youth representative. We look forward to his presentation, which will be reflective of the voice of our youth on the overall situation in the country. His merit-based selection as our UN youth representative is a manifestation of how far our younger generation has come in becoming proactive agents of change in society. Today’s meeting of the Security Council takes place at a crucial moment – as we approach scheduled parliamentary elections next month; the international Geneva Conference on Afghanistan in November; followed by the anticipated presidential elections in April 2019. If all goes well, by mid-next year, we should complete our political transition, with a new parliament and a new government. Meanwhile, our security forces are leading the national struggle against terrorist and extremist groups, who have increased their brutality against our people, as part of a renewed attempt to take more innocent lives, including journalists and aid workers, and subvert our progress. As guardians of our territorial integrity, our national security forces continue to grow in size, strength and professionalism. Moreover, in addition to the substantial increase of our special forces, we are also working to triple the size of our air force by 2020. This, together with our ongoing reform, will have a profound impact enhancing our fight against international terrorism. In the broader context, despite the difficult security environment, we remain on track to solidify gains in different areas, including governance and development. This is due, primarily, to the strength and resilience of our people in defying complex challenges, as they have so courageously done over time during the course of our nation’s history; and secondly to the continued support of our many friends and allies in the international community. The core objective of our enduring partnership with the international community is based on achieving a sustainable peace that is seen as just and comprehensive. As we take stock of the status of peace efforts through new outreach to the Taliban, we need to draw the right lessons from the history of engagement with that group. This is essential to ensure that we are indeed on the right track, as we move forward. Following our sustained efforts, this year, at the Kabul Process Conference in February, we launched a reinvigorated and more flexible peace plan that presented unprecedented incentives, unanticipated even by the Taliban. It included unconditional talks and measures for their return and reintegration in society. Lately, through increased diplomatic engagement with various partners, we have strengthened regional and international consensus in support of peace efforts. 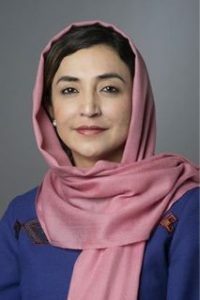 The successive civil mobilizations and gatherings of Islamic scholars, in Kabul, Jakarta and Jeddah, helped enable and welcome the first-ever temporary ceasefire with the Taliban in June. Nevertheless, in spite of that brief lull in fighting, the Taliban rejected the second cease-fire, proposed by us and welcomed by this noble Council. Making real progress in peace efforts will not be possible unless the consistent pattern to manipulate, misuse opportunities and deception for strategic gains comes to an end. Afghanistan stands fully committed to engage in a genuine peace process, with tangible results for our people. However, the guiding principle in moving forward dictates that the fundamental factors, which have prevented peace efforts from gaining traction, must first be adequately detected and then addressed. All along, we have underscored the importance of regional support for our peace efforts, with a specific role by Pakistan. 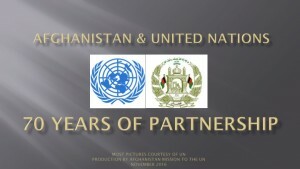 Advancing the peace process is a key element of the recently signed Afghanistan Pakistan Action Plan for Peace and Solidarity (APAPPS). We welcome the last Saturday visit of Foreign Minister Shah Mahmood Qureshi to Kabul, where he expressed his Government’s readiness to support peace and stability in Afghanistan. The key determinant in validating that commitment will be the full and effective implementation of the Afghanistan-Pakistan Action Plan for Peace and Solidarity. For nearly a quarter of a century, Afghanistan has turned into the site of what I term a “geographical genocide” of certain circles within our region. The expectation is that my country should either become their “trusted” agent, or be weakened, bled and represented as the horrific face of terror around the world, devoid of its independence, advancement, rich culture, and history. The erratic positions of the Taliban in the peace talks, their leaderless profile, factional structure, and brutal attacks are used to pursue this policy. Such genocide, having a casualty of more than 10,000 a year and traumatizing millions, and we heard about some of them in the presentation of our youth representative, has had a negative impact on almost everything else in our country; governance, economy, electoral process, anti-corruption, counter-narcotics, and so on. So the important thing is that we either do something about the root causes, or continue to talk about the consequences. Afghanistan has clearly asserted that regional and international support is vital for the success of the Afghan-led peace process. We welcome all coordinated efforts leading to direct talks that can generate concrete results, rather than a repeat of the past. We are keenly following the interactions between some of our partners and the Taliban, which is being coordinated with the Afghan Government. Let me take this opportunity to express a word of thanks to all partners, inside and outside our region, who are supporting our peace process. Such efforts rendered in a manner that reinforces our ownership and leadership of the process remains essential. Other key issues are the up-coming elections, which will determine our future stability. Efforts are underway to ensure that the elections are free, fair, inclusive and transparent, in accordance with the will of our people. The successful electoral outcome will have a profound impact on the future positive trajectory of Afghanistan. Our people expect us to deliver on this national process, by addressing legitimate concerns and preventing fraud and insecurity from jeopardizing the process. We thank the Security Council’s new emphasis on the imperative of transparent elections, as emphasized in its presidential and press statements issued in July and August. This is a welcome development, acknowledged by the people and Government of Afghanistan. Further, our national unity and political stability provide the best guarantee for the long-term stability of our country. In this light, through a broad national dialogue, we need to work on all outstanding issues related to up-coming elections and win the trust of most stakeholders. We know fully well that successful elections and achieving other important national objectives can best be realized in a spirit of unity and understanding. The November Ministerial Geneva Conference on Afghanistan will mark a new chapter in our relations with our international partners. Geneva will be a chance for us to brief the international community on progress against the benchmarks of Self-Reliance Mutual Accountability Framework (SMAF). More broadly, it will explore the way forward with respect to peace efforts; and regional economic cooperation agenda, which is one of the main achievements of the National Unity Government. The endorsement of a new mutual accountability framework will refine the nature of our cooperation to make it more impactful for our people – through improvement of development aid from international donors; and effective project completion in the context of our national development strategy. The preparatory meeting for the Conference, co-chaired by Foreign Minister Rabbani; Finance Minister Qayumi and SRSG Yamamoto will be held here in New York this Sunday. We look forward to seeing you all there. We have always given special emphasis to achieving an environment in our region, where various neighbors work in tandem, in a spirit of mutual trust and confidence for win-win cooperation. We have done so believing that only such an approach will lead to success in overcoming common transnational threats and challenges. We continue to widen our network of bilateral arrangements with regional countries, including Central Asian States. In the same spirit, we recognize the enormous economic and other potentials which are yet to be fully utilized. This is precisely the reason behind various Afghan-led initiatives, such as the Heart of Asia-Istanbul Process and RECCA Process. New memberships in the HOA Process signals growing interest among the broader region. We hope the review and renewal of the confidence-building measures will enable each to progress at a more equal and similar pace. Furthermore, the RECCA Process has achieved phenomenal success in advancing regional connectivity and infrastructure development, turning our country into a platform of cordiality for all. To conclude, let us bear in mind that we – collectively – stand at a cross-roads in our strategic journey for peace and stability of Afghanistan, and more broadly, for global security. In that regard, the start of our partnership with the international community in 2001 manifested a contract; one aimed at securing a stable future for our current and future generations. Together, we have come a long way – reaching the last stage of the Transformation Decade for Self-Reliance. Let us complete this vital journey with greater resolve and commitment.